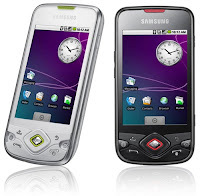 Virteacon: Samsung apparently surpasses Nokia and Apple in Smartphone sales! Android, I should say is the sole reason for this boost. With the customization power available for the Android, and abundance of apps, it has been a treat to the eyes, and developers. Moreover, its main advantage over its rival iPhone is that, it comes cheap. So cheap phones, along with awesome features is the mantra for Samsung. Nokia on the other hand is going down, and is trying to keep up the pace by shifting gears with Microsoft. Lets wait and see how it turns out.